The Portland Pomsky puppy is in good health at the time of sale, and embodies the characteristics of the Pomsky breed. This puppy is x% Husky, and x% Pomeranian. Portland Pomskies guarantees the above described dog to be healthy at the time of the sale. Portland Pomskies does not assume any liability for any injury to said puppy after delivery. The BUYER has 72 hours to have the puppy examined for any defects and notify the breeder of any faults found, otherwise puppy is assumed to be healthy. If the puppy is found to be anything other than healthy by the BUYER’S veterinarian, records must be submitted to Portland Pomskies and a dialog between our veterinarian and BUYER veterinarian will occur. Correct course of action will then be decided. This animal is warranted against fatal genetic defects for 2 years from the date of purchase If the puppy is genetically unsound by a vet within that 2-year period, the puppy will then be taken to a different vet for a second opinion by the BUYER at the BUYER’s expense. If both vets agree on the same condition the puppy will be returned to Portland Pomskies with all health records faxed to our Vet Clinic and a full refund will be sent after Portland Pomskies vet confirms the same illness. A picture of dog must be sent to Breeder every 6 months to uphold health guarantee. The Breeder states that the dog has received the following vaccinations, DA2PPv, at 7 weeks old. Breeder shall provide Buyer with a health record that contains valuable information about the health and care of your dog including when a booster is due, your dog will need 2-3 more vaccines and rabies and then yearly boosters. Breeder worms dogs with Strongid at 2, 4, and 6 weeks old and gives Drontal as the final wormer before leaving the facility. Please see your puppy’s health record for details on the health care your puppy has received while with the Breeder. The BUYER agrees to maintain the puppy’s health in good condition, and to provide yearly examinations, vaccinations, heartworm test, and any other usual procedures necessary to assure good health. That this dog will be given adequate and proper shelter and housed securely indoors. This dog shall not be neglected (some examples of neglect include failure to provide food, shelter or veterinary care), allowed to roam free, or be mistreated in any manner. The dog shall receive proper veterinary care throughout its life, receiving annual inoculations and placed on a heartworm preventative. The dog shall receive proper nutrition and care shall be taken to maintain its proper weight. Buyer agrees to give the dog proper training and socialization. Buyer agrees to never sell or surrender this dog into a dog fighting institution, testing center or shelter. Portland Pomskies has done everything possible to produce healthy sound puppies both by breeding only dogs (parents) that are certified free of hip and elbow dysplasia, and by raising the puppies in the best way possible in regards to diet, exercise, socialization and veterinary care. There are many factors that can influence growth and development, such as diet, exercise, weight gain, etc. The BUYER assumes the responsibility to carry on with the appropriate vaccinations, exercise and feeding schedule, as supplied by Portland Pomskies. Portland Pomskies can offer no further guarantees once the care of the puppy is no longer under their control. The Buyer agrees to finish all puppy vaccines before taking their dog out in public, letting their puppy on public sidewalks and grasses or letting their puppy be touched by people outside of the family. This reduces the chance of your puppy picking up a communicable disease such as Parvo WHICH CAN BE FATAL. The BUYER hereby agrees that if at any time the Buyer cannot take proper care of the puppy, the BUYER must contact Portland Pomskies and Portland Pomskies will have the first choice to either: (a) take the PUPPY back or (b) assist the BUYER in finding a suitable home for the PUPPY without a refund. 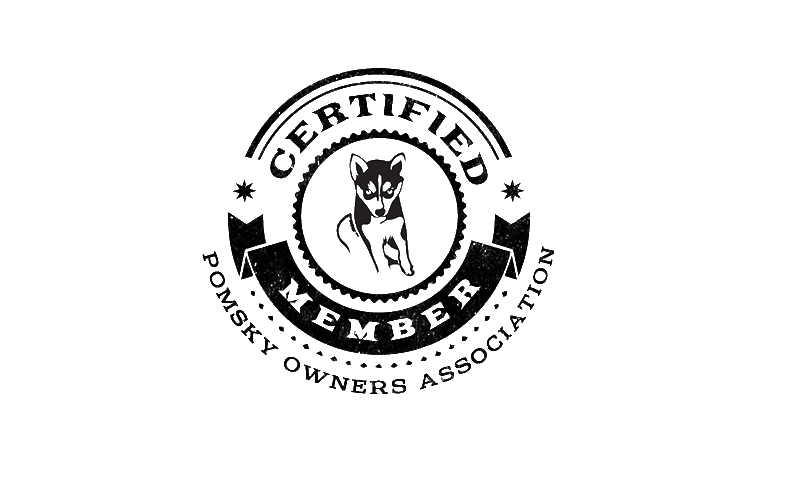 Portland Pomskies neither makes or implies any warranties or guarantees, express or implied, other than those written in the agreement including, without limitation, the warranties of merchantability and fitness. This document constitutes the entire agreement between Portland Pomskies and Buyer with respect to this sale. The Buyer’s signature below indicates that he/she has read, agrees and understands all conditions of the Sales Agreement and Contract of Sale. ALL SALES ARE FINAL.